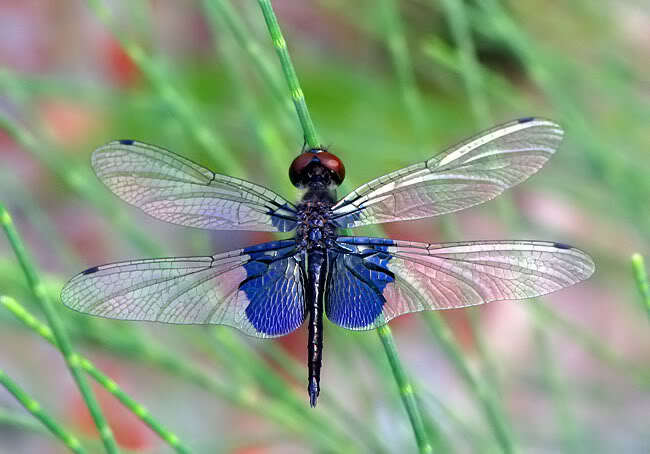 This morning (30 July 2012), I visited KTPH and Yishun Pond again and was delighted to see three dragonfly species new to the site, including the beautiful and uncommon Rhyothemis triangularis (Sapphire Flutterer). 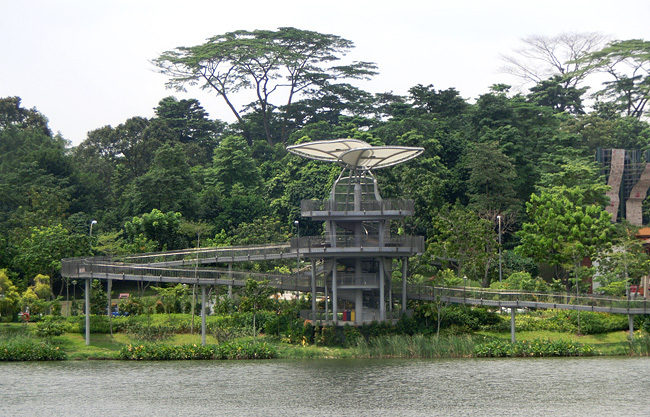 This means that the total number of dragonflies species recorded from KTPH and Yishun Pond is now 19. It is apparent that the habitats created by KTPH in and around Yishun Pond are starting to attract nice dragonfly species. Kudos to the KTPH staff in charge of the enhancing of the habitats for wildlife! 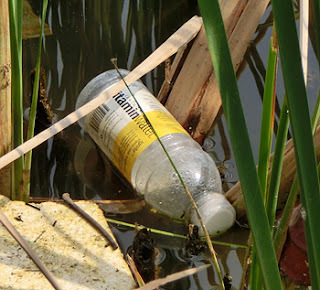 But their effort could be undermined by the irresponsible visitors to the pond. 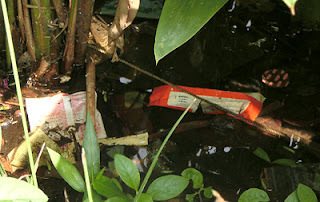 The amount of litter seen, especfially along the edge of the pond near "Spiral @ Yishun", will probably lead to degradation of habitats. 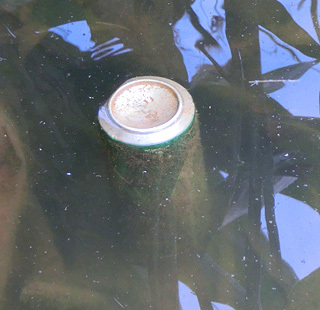 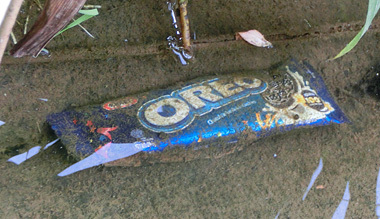 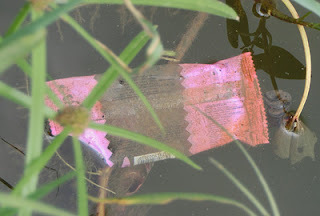 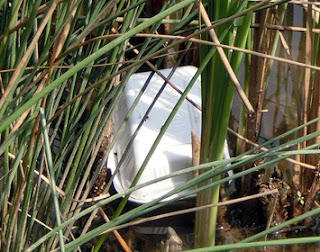 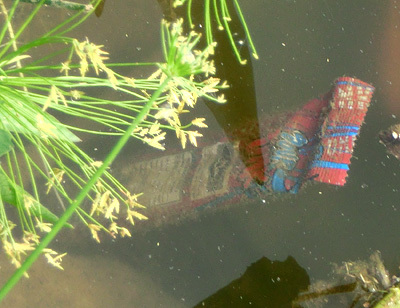 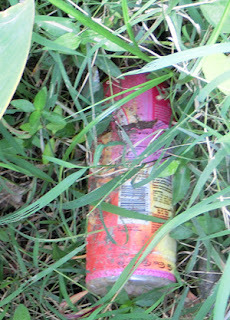 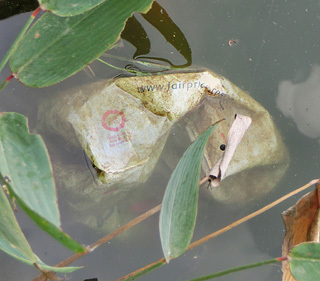 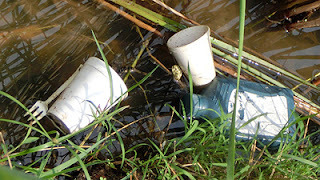 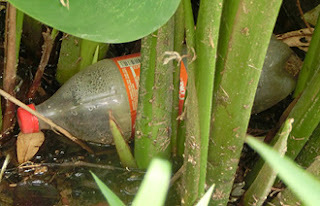 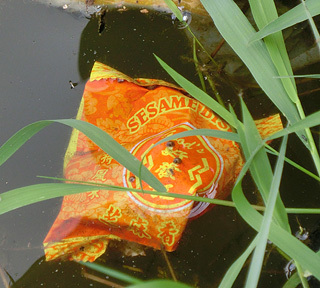 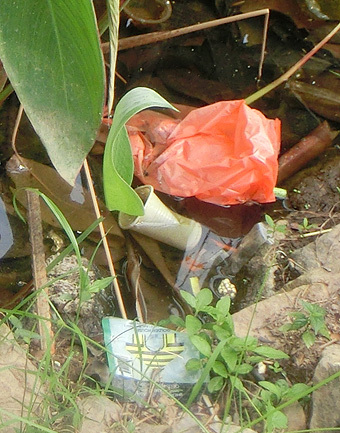 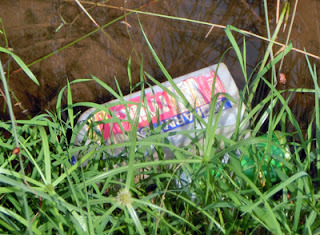 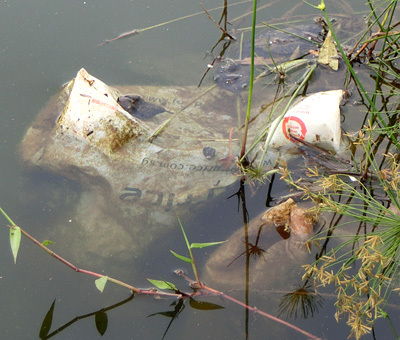 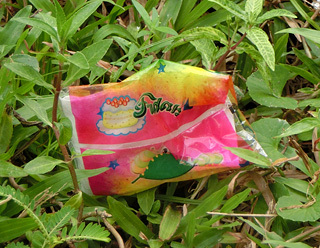 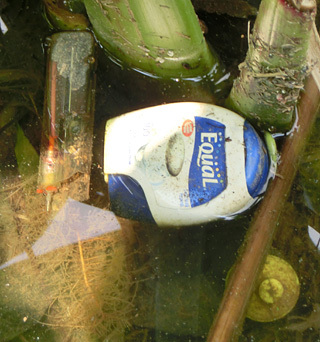 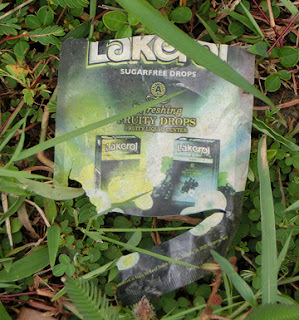 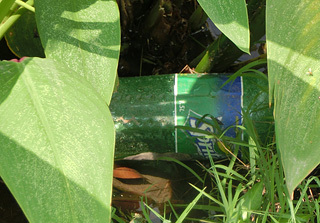 If I can see so much litter among the vegetation along the edges of the pond, floating on the water and partially submerged in water, there is certainly also a large amount of litter submerged in water, and is not visible to me. 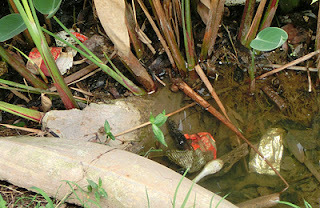 How can the litter be removed from the pond? 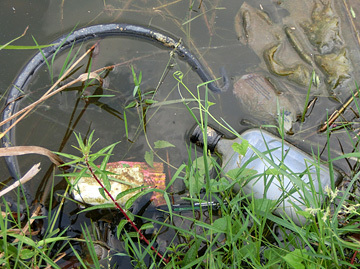 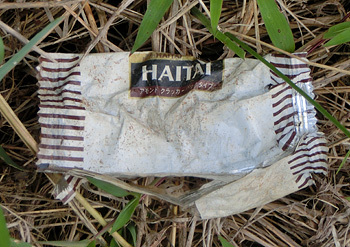 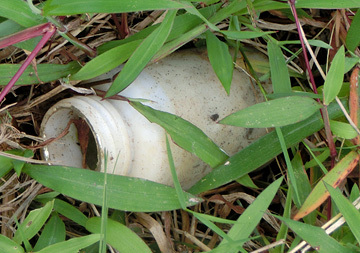 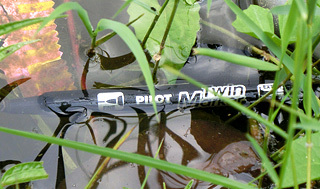 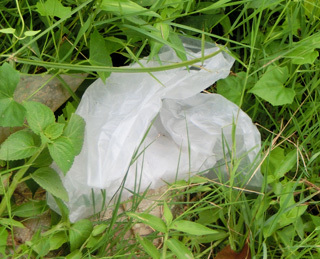 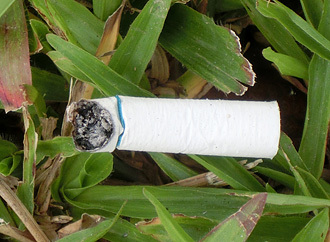 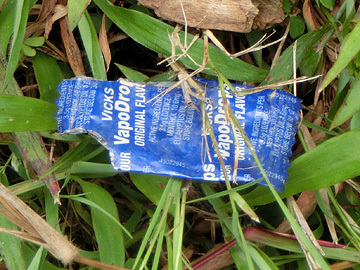 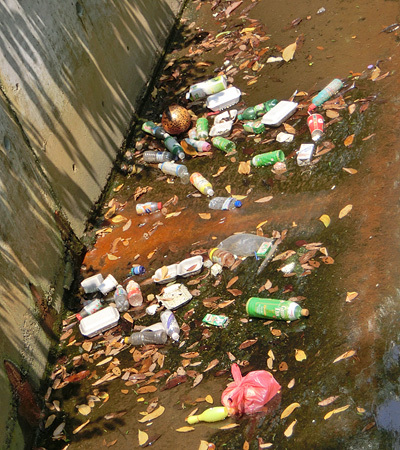 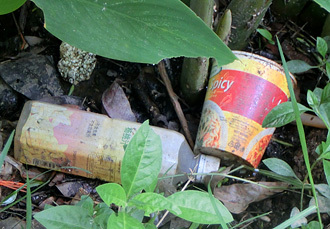 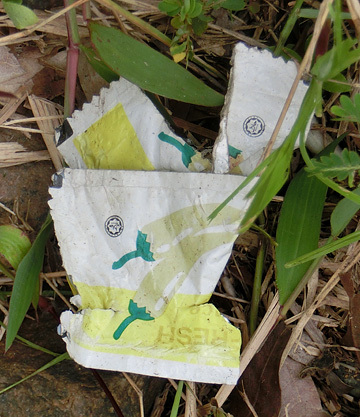 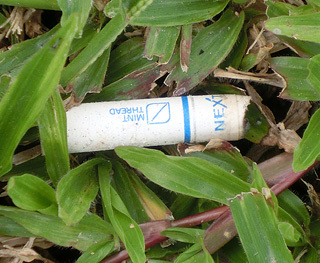 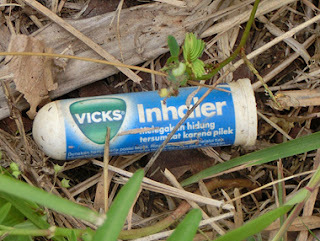 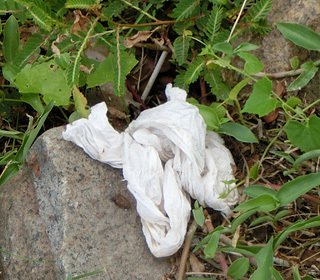 Everyday, the wide variety of litter (plastic, chemicals, cigarettes) is soaked in water, releasing chemicals to the water. 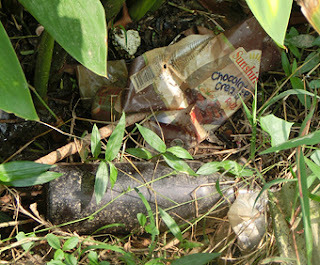 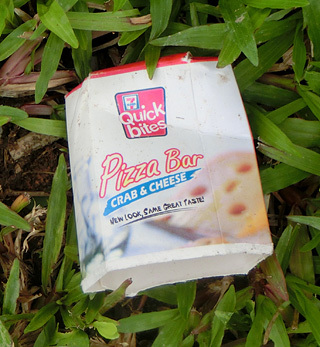 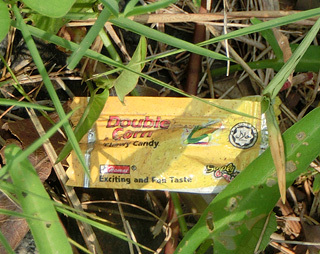 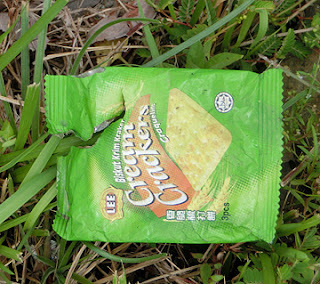 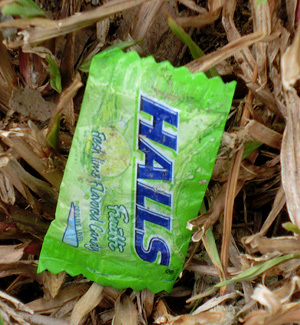 The littering problem has to be solved. 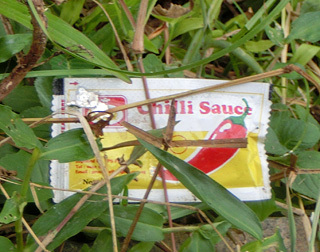 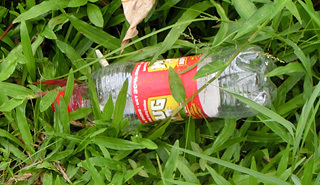 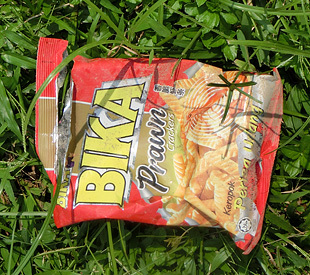 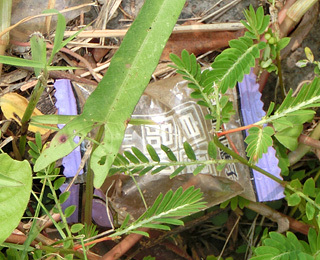 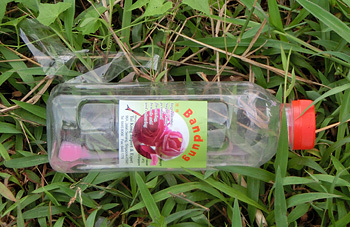 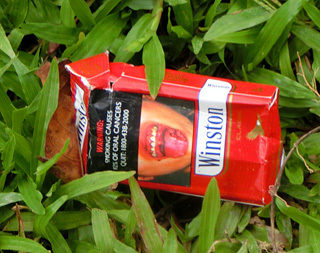 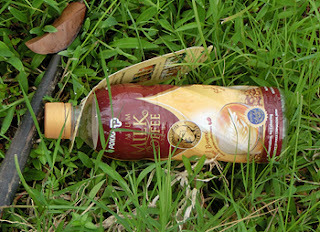 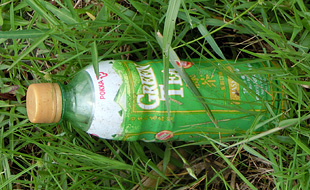 The authorities must take much stronger actions against litterbugs.